The Sphinx Quali option is the solution dedicated to the processing of textual data and semantic analysis. It integrates recent advances in knowledge engineering (ontology, semantic networks, etc.) and is at the forefront of innovative technologies. 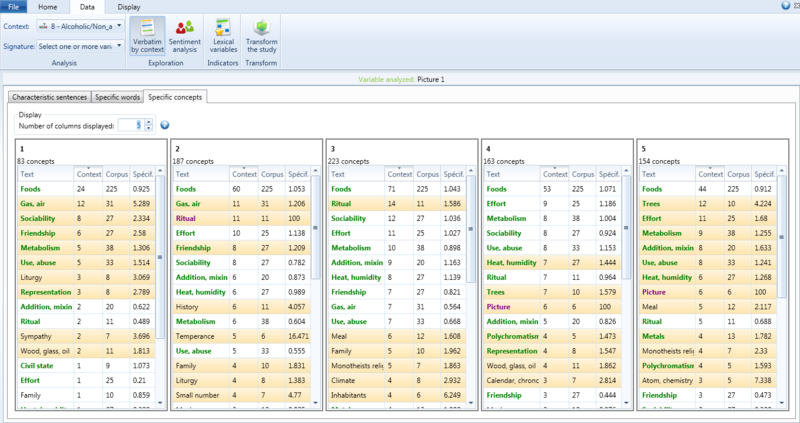 With the expansion of data of all kinds and the multiplication of opinions on the web and social networks, it becomes essential to process data from whatever source: open-ended questions, interviews, focus group, press articles, extracts from websites, comments from forums and social networks … Sphinx Quali makes it possible to import all of these corpuses. 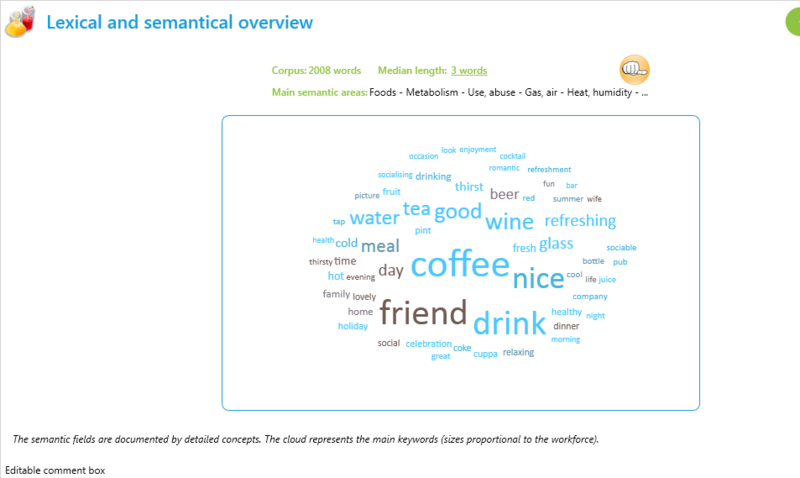 Sphinx Quali gives instant access to global syntheses, allowing a first appropriation of the corpus content: study of key concepts, word clouds, thematic categorization, characterization of the speakers and contexts, determination of opinions’ orientation. For an efficient content analysis, Sphinx Quali provides assistance with the construction of the code-book (custom or automatic) and codification (possibility of automatic codification extension). 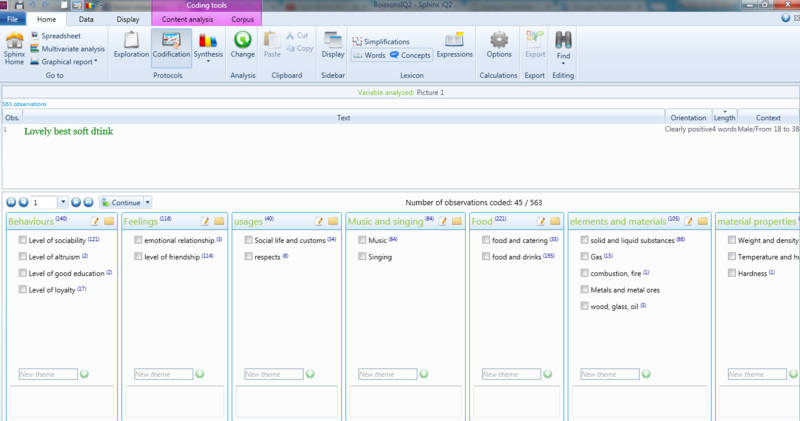 The results are rendered with themes and sub-themes presentations and delivered with extracts of characteristic verbatim. Using integrated technologies and methodologies, Sphinx Quali determines which passages express a feeling, judgment or evaluation and identifies their orientation (positive / negative / shared). It thus makes it possible to easily define the global opinion of an individual, which was considered as was a tedious task in the past. To go further in the knowledge of your corpus, you can perform lexical and semantic specific searches and develop dictionaries and ontologies related to your specific domain. You have phrases recognition system and can perform differentiated work on adjectives, nouns or verbs. You benefit from an aid to illustration by the verbatim.